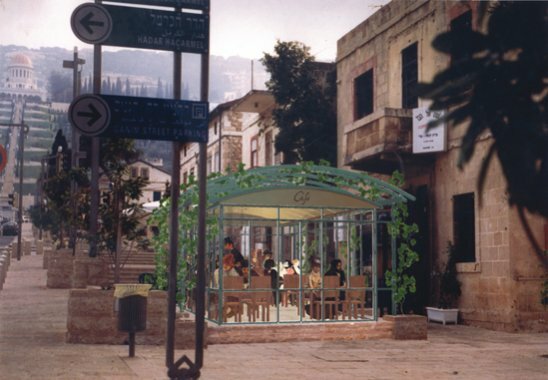 The competition's programme was for a series of winter pavilions for the Ben Gurion Boulevard in the Haifa German colony. 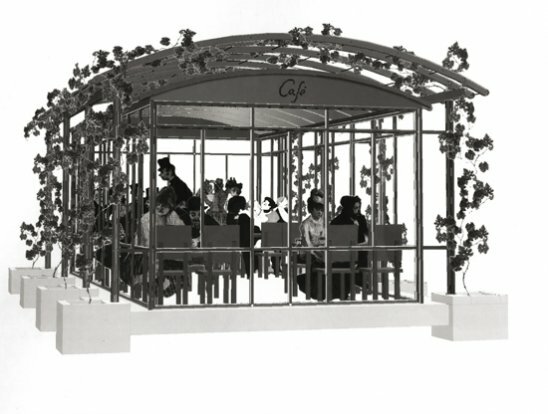 Our proposal, which won first prize, was to address the not less accute issue of summer sun, by creating a shading vine canopy, alluding to the original occupation of the german pioneers, into which the winter glass cage is inserted in winter. Figures from Parisian impressionist paintings were recruited for the demonstration to render the aspired for atmosphere.